Tourette syndrome makes most of us think of twitchy eyes and out-of-control curse words issued by children who couldn’t possibly be old enough to know what they mean. But more often, Tourette symptoms are subtler than that, expressed by blinking, sniffing, and throat clearing, for instance, with a tendency to wane as children enter their teens. Brad Cohen’s Tourette syndrome symptoms, on the other hand, are both visible and audible and never quite disappeared even into adulthood. Back when he was a child, of course, no one knew what was wrong with him. His teachers punished him for disrupting the class and his classmates taunted him for the spectacle his disorder created in their midst, material seemingly tailor-made for their teasing, mocking, and bullying of the boy. Brad’s mom was the one who figured out what was wrong, after reading about Tourette syndrome in a medical book, after the doctors either blamed her divorce or threw up their hands in despair. Despair. Certainly Brad despaired. His situation couldn’t be any worse. He was friendless with curious symptoms in a system that failed to understand him. How can we teach empathy? But then something happened that changed Brad’s whole world. The principal of his school talked to the boy and really listened to him. He had Brad stand up in front of the entire school to explain Tourette syndrome and what it was like to be Brad Cohen in a sea of more typical students. That was the day that Brad’s real life began. It was the day when Brad could finally see a way forward with Tourette’s. It was the day his classmates learned empathy for those who are different. Brad Cohen grew up and became a teacher. He got married. He has a life jam-packed with meaning and goodness. None of this happened by accident. First there is Brad’s Tourette’s. It made Brad different. Kids don’t want to be different. More than anything, they want to fit in. But his differences meant that Brad had to try harder, and so he did. Next there is wisdom, the wisdom of an elementary school principal who really looked at Brad Cohen and took in his situation. Clearly, the boy didn’t mean to be disruptive—it was something over which Brad had no control. But Brad had no way to convey this in a meaningful way to his classmates or his teachers. By calling Brad up to the stage to explain his neurological symptoms, this wise principal of long ago, gave Brad a voice, and in so doing, gave Brad’s classmates and teachers, the seeing eyes and hearing ears of understanding. Brad grew up and dared to use what he learned as a child in an environment that did not accept his differences. He became a teacher. He had learned so much as a child with Tourette’s and now it was time for him to pay it forward, by teaching children to coexist with their classmates no matter their individual differences. Brad went on the Oprah Winfrey show in 2006. Then he was invited to speak at a conference at the Special Olympics in 2007. Cohen wowed the crowd and they gave him a standing ovation. That was where the idea for a movie about Brad’s experiences was born. The movie aired one year later. How do we protect children and teens from cruel behavior, for instance cyber-bullying? I saw a special about Brad Cohen and was intrigued. That was several years ago. I didn’t know that a movie based on his experiences had been produced, so I was intrigued when the movie excerpt above began floating around on Facebook. The excerpt had been posted in a closed Facebook group in which I am a member, for parents concerned about bullying in schools. I watched the excerpt and thought that if only children were shown the excerpt and then led in some guided post-movie discussion, it could go a long way toward building empathy for peers with differences of all sorts. I then discovered that the full movie is available on youtube. Could Brad control his noises and twitching if he wanted to do so? How do you think Brad feels about going to school? What would you do if you were Brad? Why was Brad’s principal different from everyone else in the school? Why do you think Brad wanted to become a teacher? Do you know someone in your class who is different somehow? How have you and your classmates behaved around this classmate? Do you feel different about this classmate now that you have watched this movie? What did you learn from seeing this film? 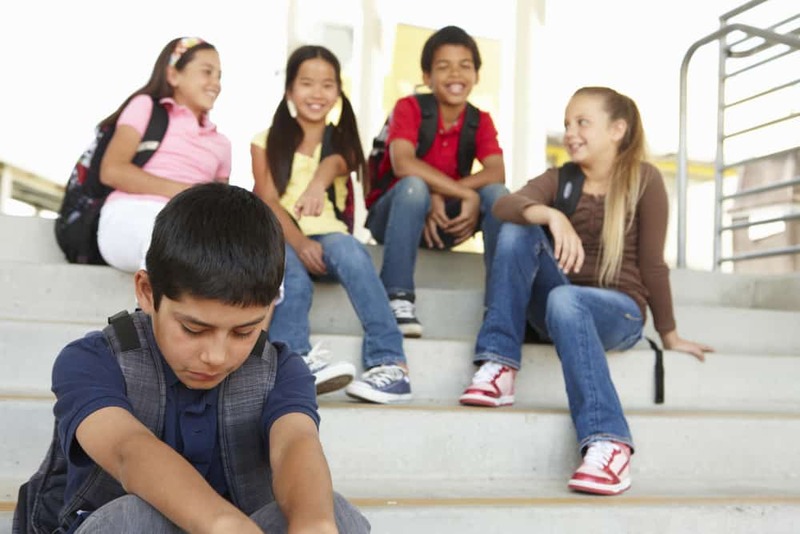 What can children do to stop classmates from teasing or bullying others? Next Next post: Kars4Kids Jingle: At Last, A Fan!